installed and updated windows for an Asus K45V Laptop for a customer from Markham Ontario. The ASUS K45 features an aluminum construction and comes in an array of colors. It features a sleek, wedge-shaped design with a textured finish. The K45 has an array of features designed to make computing easier. It features an ergonomically-designed iF Design award winning chiclet keyboard; while IceCool Technology places heat-generating components away from the palm rest, ensuring a comfortable typing experience for users even after prolonged periods of use. It is accompanied by a large multi-touch pad for smooth, intuitive fingertip control. 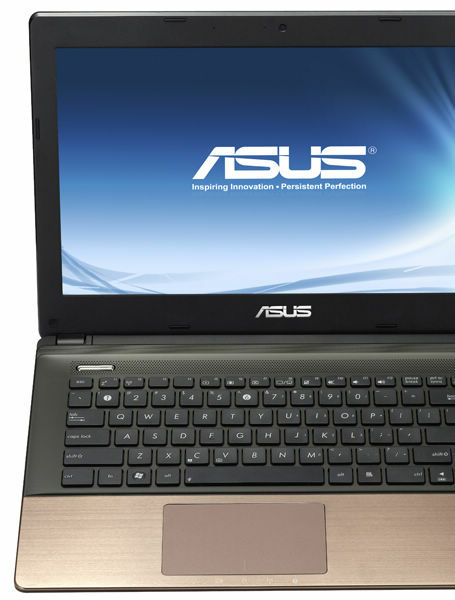 ASUS SuperBatt Technology provides an extended battery charge-cycle lifespan that is up to 3x that of normal notebooks. The K45 features a smartphone-like “always on” user experience thanks to the ASUS Super Hybrid Engine II with instant on technology. It enables the K45 to resume from sleep mode in just 2-seconds, and provides up to two weeks of standby time. In addition, it automatically secures and backs up data when the battery drops to 5% charge. *Actual K45 standby time may vary due to specific component performance, connected devices, and environmental differentiation. ASUS SonicMaster Lite gives the ASUS K45 the ability to deliver more powerful sounds and richer bass to provide the best audio experience in the mainstream notebook class.